Excellent hotel. Location is ideal for first time visitors to Orlando (I am not), except for an all Disney trip. Restaurant is a bit pricey considering the hotel itself, but there are many other choices within walking distance. Very comfortable beds. Staff very accomodating. 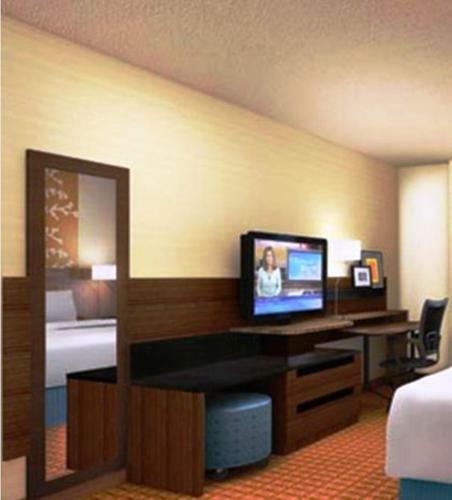 Location is ideal for visitors to the Convention Center and Univsal Orlando. No order in-room movies available. 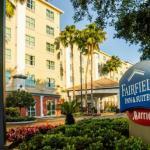 A great value for the price and location to downtown Orlando attractions. We will stay there again. The first non smoking room we had smelled of smoke. Staff was extremely friendly. Rooms were clean and nice and I had the swimming pool to myself. Pool guy seemed proud of the good job he's doing. Well equipped little exercise room. I would recommend this for leisure or business. Good location and great price. Friendly. Pool was great for swimming laps and I had it to myself. Chemicals were perfect! Breakfast was only so, so. I'd eat elsewhere. The Holiday Inn Hotel and Suites Orlando at the Orange Convention Center/ International Drive area is located one mile from the Orlando/Orange County Convention Center near Orlando's major theme parks including Universal Studios Orlando, City Walk, , Sea World / Discovery Cove, Wet N Wild and Walt Disney World® Theme Parks. If you enjoy shopping, fine (and casual) dining and entertainment venues be sure to visit Pleasure Island, Pointe Orlando and Mercado Village. There are several museums in the area, be sure to check out Ripley's Believe it or not. And if you'd like to combine dinner & entertainment, be sure to try the Medieval Times Dinner Show, Pirate's Dinner Show, Sleuth's Mystery Dinner Show, Water Mania, and Dolly Parton's Dixie Stampede Dinner Show. There are also golf courses and tennis courts within 1 mile from this hotel. All of the rooms at this Holiday Inn have full kitchens with refrigerators, microwaves, toasters, and coffee makers. For your security, each room has a digital key pad safe. For your convenience, each room has complimentary high speed Internet access and color televisions with cable / satellite service. Connecting rooms are available. The Holiday Inn Hotel & Suites Orlando offers a full cardiovascular fitness center, with treadmills, stationary bicycle & Stairmaster. They also have an outdoor pool and whirlpool. To help plan your recreation, they offer a tour planning and travel agent desk. For your convenience, they also offer same-day dry cleaning service, concierge services and ice machines. For your business needs, they offer a business center with fax services, copy / printing, and data connection. Cafe Largo offers room service, breakfast and dinner and kids eat for free. 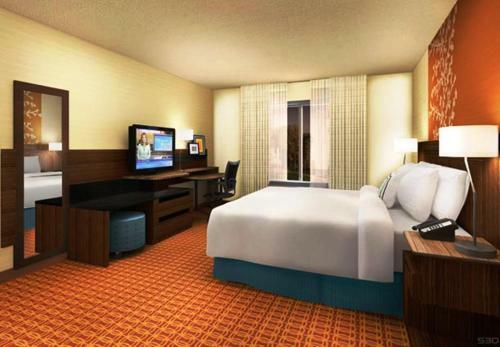 Holiday Inn sets very high standards and this one, right in the heart of all the excitement and action of Orlando, is no different. The tropical landscaping around the swimming pool area looks to inject just the perfect amount of relaxation into a fun-filled, activity packed vacation. The close proximity to all the attractions makes it a great place to stay if you have multiple attractions on your agenda in the same day. I like that each room has a full sized kitchen. If you're traveling with children, it's nice to be able to save money on dining by keeping snacks and nutritious foods available. Parking: Yes, there is parking. Complimentary parking for registered guests.